Gainesville is located in lush, semi-tropical North Central Florida midway between the Atlantic coast and the Gulf of Mexico. A wonderful place to live, work, and play, Gainesville’s mild winters and warm summers are perfect for outdoor activities throughout the year. Our many parks and lakes make it a great spot for swimming, boating, fishing, bicycling, and camping. Snorkelers and divers will enjoy the abundance of freshwater springs within easy reach, and the Atlantic and Gulf coasts – not to mention Disney World – are just a couple of hours away. Because of our commitment to historic preservation, Gainesville was named a Preserve America Community in 2008, and also is home to several museums and a lively performing arts community. Youth sports, arts, and cultural programs abound here, with a wide variety of offerings. Gainesville’s Hippodrome Theatre and downtown music, art, and dining scene, along with University of Florida’s Performing Arts , Harn Museum of Art, and Museum of Natural History provide a multitude of cultural, educational and entertainment options. For collegiate sports enthusiasts, the university offers 13 nationally competitive varsity sports, including lacrosse, gymnasitcs, soccer, swimming and diving, football, basketball, baseball and softball. 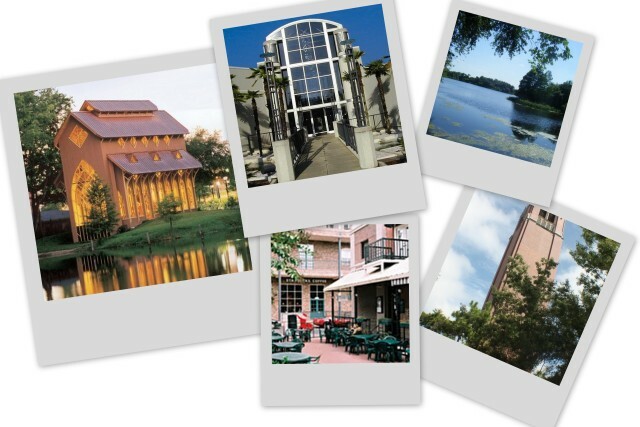 Traveling to Orlando or Jacksonville attractions, the beach, or to professional sports venues makes a nice day trip. Although Gainesville’s population tops 125,000, it has a friendly, small town feel. The city offers a thriving, diverse cultural environment, excellent public schools, and a low cost of living, making it an attractive and affordable place to live. Gainesville was ranked #1 in the Top 10 College Towns: Great Cities for School & Life After Graduation by Livability.com.